Facing only limited opposition from Gallente Militia (GalMil), on November 30th the system of Nennamaila in Black Rise fell to a swift and coordinated assault by the Caldari Militia Coalition (CalMil). 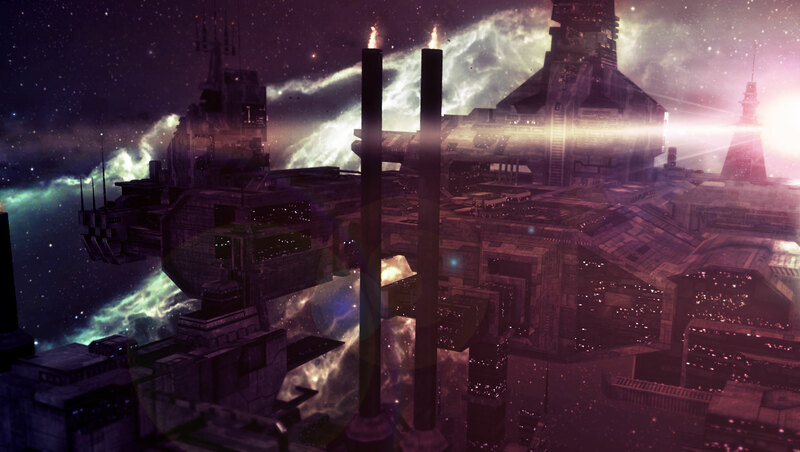 Exactly five years to the day after CalMil lost Nennamaila, it fell back into the hands of the Squids – as the Caldari are often called. All the usual suspects took part in the siege of the system – Templis CALSF, The Bloc and HECON all supplied forces and FCs, but so did newer(ed: removed) Caldari corporations like SQUIDS. Given the symbolic date of the recapturing of Nennamaila some posturing was inevitable and both sides in the factional war delivered on that expectation, illustrated in a Reddit thread that generated a fair number of comments, but never made it to the top of /r/eve, the subreddit tending to treat factional warfare with a mixture of belittlement and contempt. Unsurprisingly, self-styled “Supreme Leader of the Gallente Militia”, Roy Henry (Black Fox Marauders), claimed center stage in the discussion and raised his concerns about the future of the Gallente-Caldari warzone: Citadels have made defending a system infinitely more difficult, because attackers can now reship from inside the system under siege and Ascension has brought in a horde of fresh Caldari militia members, tilting the balance of power between the two factions away from GalMil. Other voices – some CalMil and some not allied with either side – pointed out that maybe the nature of GalMil itself was part of its problem, with its mixed population of highly experienced and high-skillpoint PvPers and farming alts. 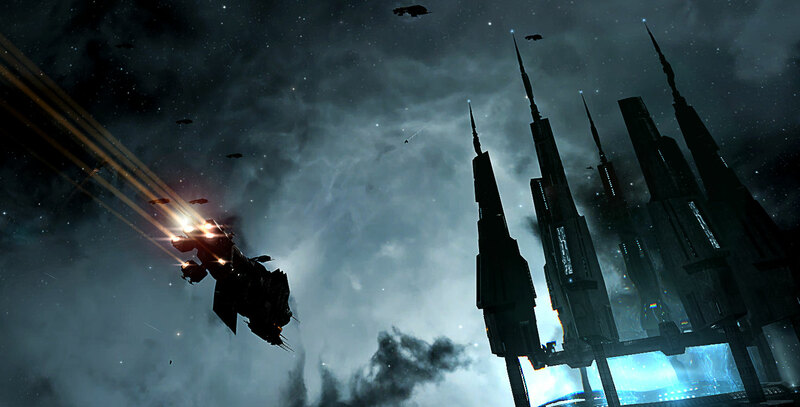 Both sides in the conflict have seen a huge influx of new recruits – both Alpha and Omega – as people have dived into EVE with the introduction of free Alpha Clones. Is it true that a disproportionate number of them choose the Caldari faction? Judging from the number of active PvP characters in the past week on Zkillboard, Caldari has indeed jumped above Gallente militia. It’s hard to judge how many AFK farmers have joined either side. Personal experience roaming the warzone and defending our own systems suggests that there are still at least as many farmers, if not more, on the Gallente side. (which is usually in, or on the edge, of the highly lucrative Tier 3). The new players who have joined the militia seem to be more interested in actually playing the game, in learning PvP and in taking systems for their faction than in farming. Which is exactly what everyone was hoping for, of course! Also, given that farmers have been choosing the dominant GalMil side for the easy ISK for the past three or four years, Roy Henry’s complaints (about Alpha clones putting too much plexing pressure on the established GalMil PvP corporation) are not likely to make much of an impression on his Caldari counterparts, people who have been living in that reality for years. This leads us the accusation that GalMil is “full of toxic bittervets”, to use the words of Black Shark Cult CEO Ezekiel Winter, who was revving up to full Mittani-level spinning speed and claims that a toxic, elitist attitude in leadership is part and parcel of the problem GalMil faces today. Not having been in GalMil myself I cannot speak to this alleged attitude problem, but you could say that “toxic bittervet” issues are at the heart of the schism in GalMil, and that particular conflict is hurting the entire coalition now that it is being attacked on multiple fronts from opposing sides of the warzone. When RDRAW, one of the top Gallente militia corporations in the game, decided to ally itself with the pirate alliance Snuff and started to awox allied militia players, an internal war between GalMil corporations broke out. The fallout of this conflict lingers today as the main body of Gallente militia finds that it cannot rely on RDRAW to help defend systems. So is Caldari Militia a more new-player-friendly environment than the supposedly elitist GalMil? There are definitely groups like Black Shark Cult who go out of their way to help new players get into the action right away, with step by step progression, but the same can be said for Aideron Robotics in GalMil, (ed:)one of the most proeminent GalMil corps, also known for their huge efforts in integrating Alphas within FW. Another factor that was connected to the influx of new CalMil members, since the Ascension expansion launched, is the easy access to Jita that new Caldari pilots supposedly enjoy. This may be part of the reason people choose to go with Caldari, but it seems unlikely that this would have such a huge impact: few brand new players have any notion of the importance of Jita as the central trade hub when they join EVE. In addition, moving from Jita to the warzone takes you through some notorious ganking hotspots – and would that be such an advantage, then? From my own conversations with new Alphas, racial ship choices come up often as a reason for joining with one of the factions. 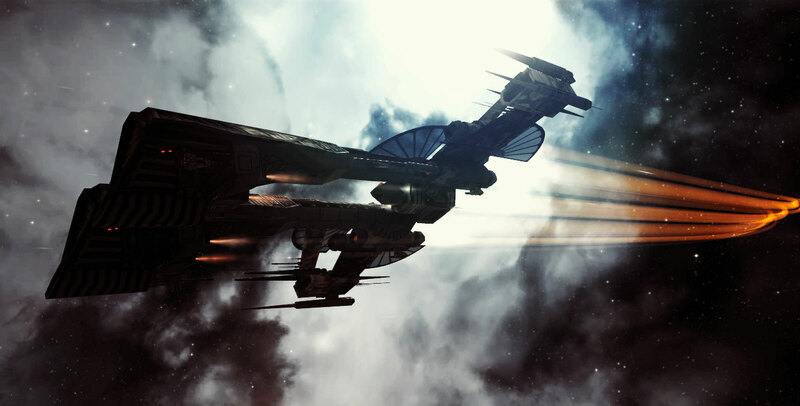 Many people new to the game seem to assume that to fly in CalMil you need to fly exclusively Caldari ships, which is of course not the case, but nevertheless it influences the choice of faction by new players. In that respect, both Caldari and Gallente are in very good shape, as the selection of ships and fits accessible to Alpha clones for both races are actually very viable for use in factional warfare (and certainly not only for AFK plexing). This seems like a good place to link Gorski Car’s excellent overviews of the ship and fitting possibilities for Caldari and Gallente Alpha clones. Every discussion of factional warfare since their introduction has included a section on Citadels, and with the fall of Nennamaila, Citadels were once again listed as a factor. It’s been well-established that launching a siege attack on an enemy home system is now much easier than in the past. The logistics of sieging a system have been made many times simpler – and as military strategists have long known, logistics are what wins wars in the end. The Citadels in Okkamon and Aivonen have proven a decisive factor in GalMil victories in those systems. That at least was one thing both sides could agree on. However, after Aivonen fell to a week-long siege by GalMil, Templis-led Caldari forces recaptured it just two days later – because they had a Citadel in their home system. This shows that to actually keep control of a captured system, an attacker will need to either live out of the system itself for quite some time or at the very least eliminate all remaining enemy Citadels. Will we see both sides switching to Citadels completely in the coming months? It would make sense from an eviction-prevention point of view. Citadels are being placed in many strategic systems just in case. What we have not seen yet is any significant destruction of onlined Citadels by the warring coalitions. Is it because factional warfare does not have a culture of structure attacks and defenses, except for iHub bashing? Is it because attacking an online Citadel requires a fleet that is likely to attract unwanted attention from the major lowsec alliances? Are we not attacking enemy Citadels in our space because we are convinced we will be dropped on by the (super)capital fleets of Snuff or Project Mayhem? Is that fear entirely grounded? Squids are pushing in numbers and on different sides of the warzone, and CalMil leadership is cleverly spinning and role-playing the conflict to further increase their momentum. Their rallying call “For the State!” rings loud. TL;DR – GalMil leadership is coming to grips with a newly leveled playing field after the Ascension release, which has re-energized CalMil.